This book is composed of two parts. 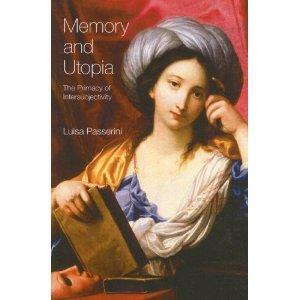 The first comprises chapters 1) on the connection between memory and forgetfulness in Europe during the twentieth century, 2) on women's experience of becoming recognized as full subjects in the time of the crisis and "death" of the so-called universal subject, and 3) on the conjugation between utopia and desire in the 1968 movements of students, women and workers. Oral history, feminist theory and practice and the history of the new social movements are the disciplinary fields in which these chapters are situated and from which they interpret the past. The second part is resolutely concerned with the present, and particularly with the sense of belonging to Europe that has emerged in the last 15-20 years among the generations of 1968. The new types of European identification do not conflict with self-recognitions based on gender, age and cultural belonging. On the contrary, all these attributes combine in characterising a subjectivity that is no longer hierarchical and exclusive. One can feel, as Derrida has written, European "among other things". Thus, one can recognize herself as a woman, as a black, as a Muslim, as well as a European, if she wishes to do so. The theme of inter-subjectivity connects all the topics of the book, in the sense that subjectivity, memory and utopia are understood as relationships between human subjects, for what concerns both their genesis and their persistence.